My kids seem to need a 3 course meal to eat after school/pre-school, so my snack tin needs to be topped up with nutritious and filling foods. 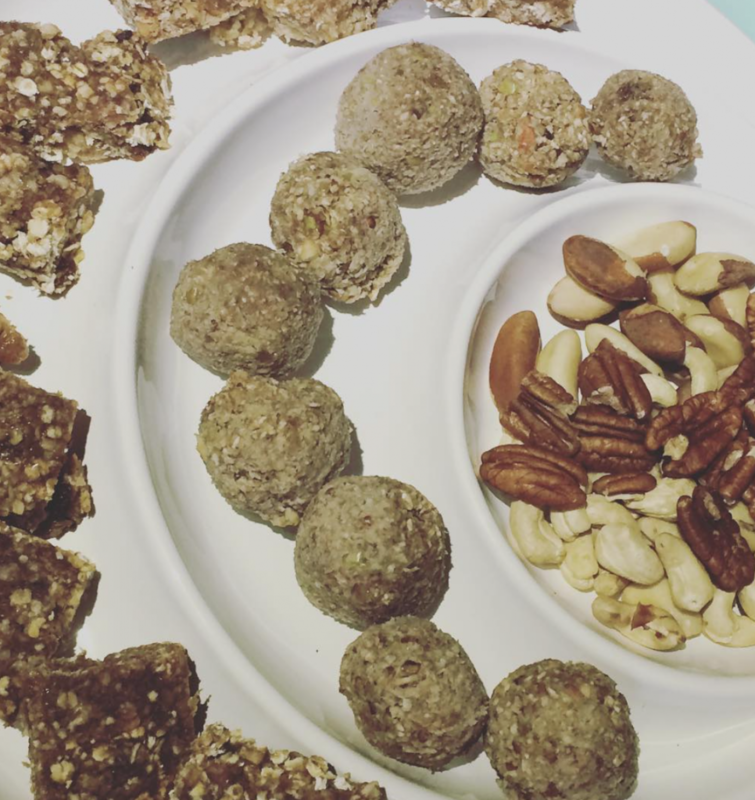 These apple energy balls are something I saw another dietitian friend making on Instagram and we adapted it slightly, using different nuts to suit our tastes. “I made these and they are yummy”. 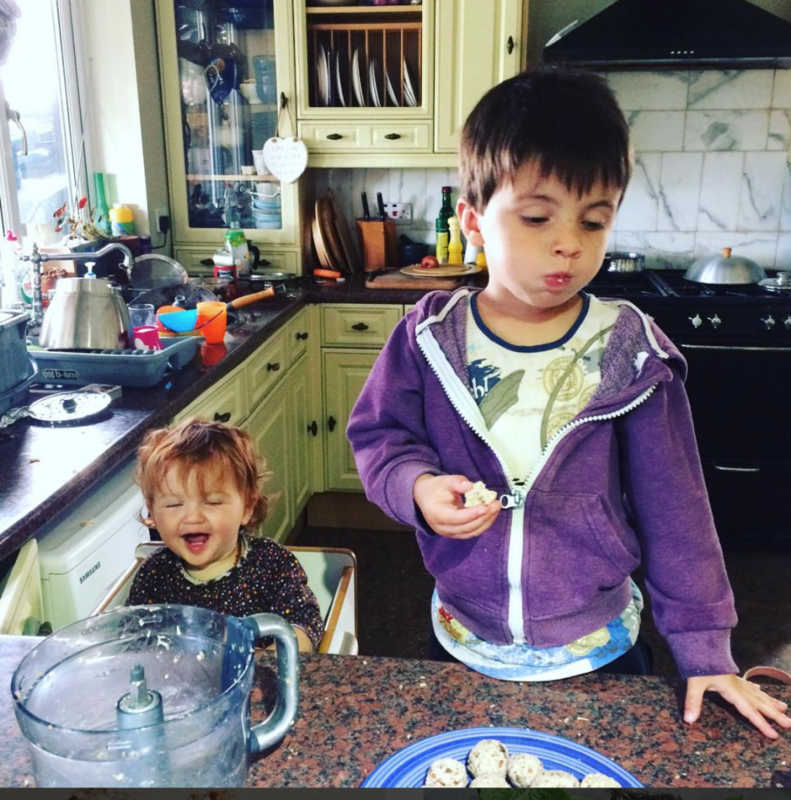 I’ve not managed to do a vlog for ages… 3 children and work has meant a kitchen that is rarely tidy enough for filming in and few of those moments where we have the right moment with all children quiet and happy to join in. However I’m hoping to get back into it now. I’d love to know your idea and thoughts for future videos. 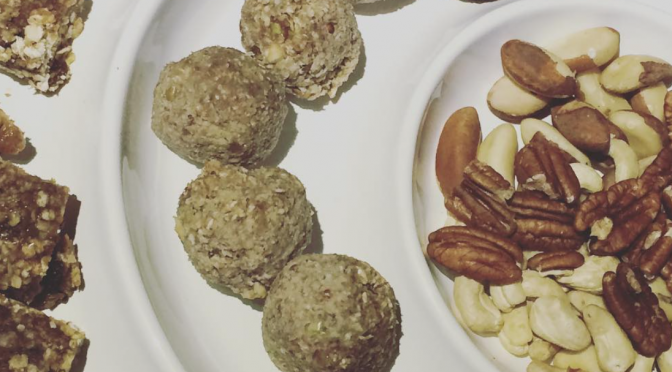 Super simple, tasty, nutritious and filling energy balls. Put the apple in the food processor first and use a grater attachement or you could grate by harns. Add a dash of hot water to make a rough purée. Now add the oats, pecans, raisins and nut butter and combine. Pop in the fridge to chill.